Gran Via De Les Corts Catalanes, 647, 8010 Barcelona, Spain. Gran Hotel Havana Barcelona is a first class hotel, located in the Casa L. Fradera. The hotel is right in the centre of the city, only a step away from the most emblematic buildings of Gaudí, the mythical Ramblas and the Gothic Quarter. 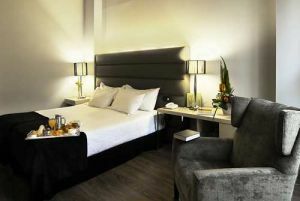 The hotel offers 145 rooms equipped with satellite TV, wireless Internet, minibar, individual control of central heating and air conditioning, desk, etc. Paid covered parking at the hotel (23.54 €), Reservation obligated. Centre, Near the historic centre. 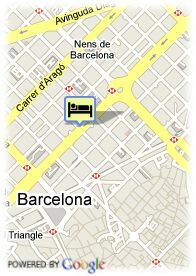 Hotel Husa Oriente is situated in the middle of the Ramblas. The hotel is one of the oldest in Barcelona.